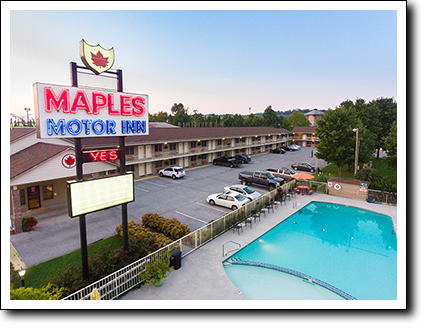 Back when Maples Motor Inn was built, our location wasn't the best. 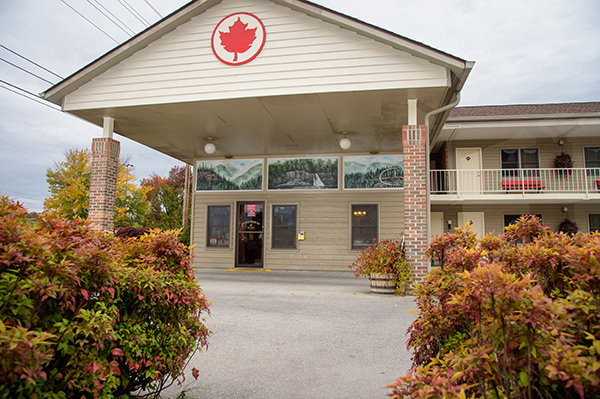 At that time Gatlinburg was the premier destination and Pigeon Forge's motels got less business the further they were from the Smokies. 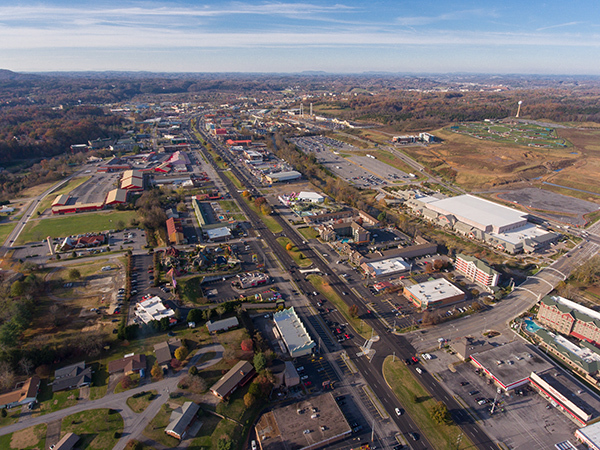 That began to change as outlet shopping appeared near the north end of Pigeon Forge. Now we are smack dab in the middle of restaurants, amusements, convention centers and shopping. At 2959 Parkway we are found between traffic lights 4 and 5 on the east (river) side of the strip. In fact, go out back and stick your feet in the Little Pigeon River. You won't find a more relaxing place in this busy town. Within one mile you can find over 200 factory outlet and speciality stores. Within one block you can walk to Alamo Steakhouse (best steaks in town), Bennett's Bar-B-Q (voted best in town several years in a row), Mama's Farmhouse Restaurant (family-style meals), Hardee's, Big Daddy's Pizzeria, and an ice cream shop. Shoney's, Red Rooster Pancake House, plus other pizza places, pancake houses, and candy shops are all within two blocks. Need groceries or medicine? A new Dollar General Store joins 2 drugstores on our block. A new fun center, Crave Indoor Golf, has opened next to our neighboring Adventure Raceway. There are more racetracks, arcades and golf courses nearby. Also on our block is Flyaway Indoor Skydiving, one of only two such facilities in the U.S.A. 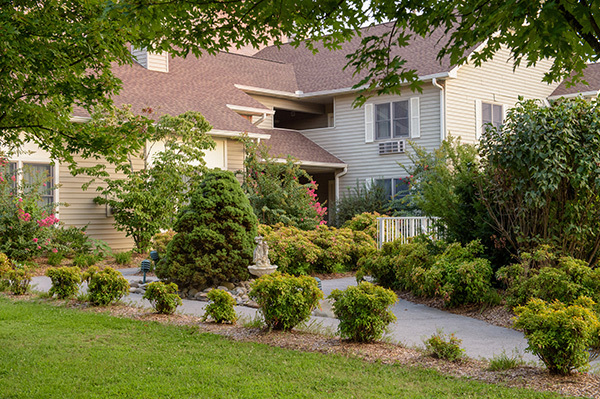 Within a mile are the Comedy Barn Theater, the Forge Cinemas movieplex, the Ripken Experience baseball park, the Old Mill-Pigeon River Pottery crafts area, and Patriot Park, the site of the 4th of July celebration and other major events. Pigeon Forge's new LeConte Center is a huge convention center opened in 2013. 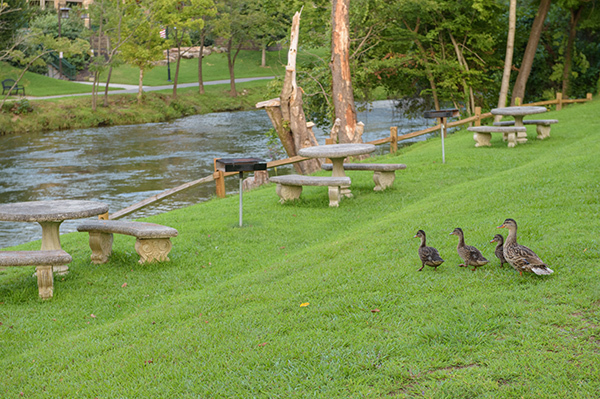 It hosts many national and regional events and is a stone's throw across the Little Pigeon River. Between the center and the river you'll find the Pigeon River Greenway, a walking and biking path that connects to Patriot Park and The Island, an exciting new shopping/dining/entertainment development dominated by the 200-ft. high Ferris wheel. 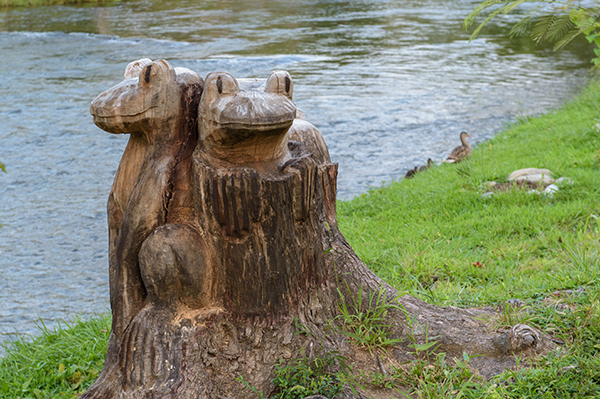 Eventually it will lead to Pigeon Forge City Park and Sevierville, but for now it remians a little-known yet inviting escape. The best entry to Dollywood is via Jake Thomas Drive at light #5. The Music in the Mountains Spring Parade (formerly Dolly's Homecoming Parade) comes right in front of the motel each May. Want to help the environment and save ga$? 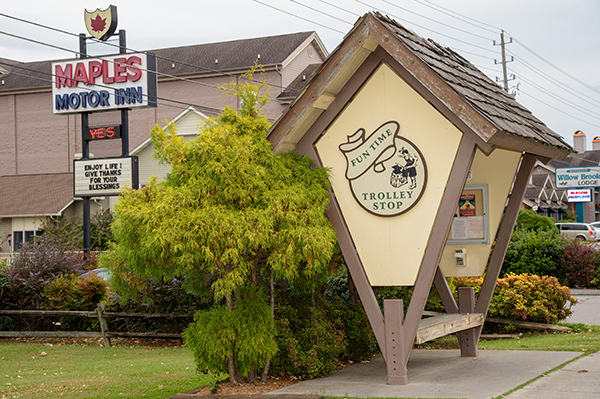 The Fun Time Trolley stops out front every 30 minutes. Fare is $1.00.